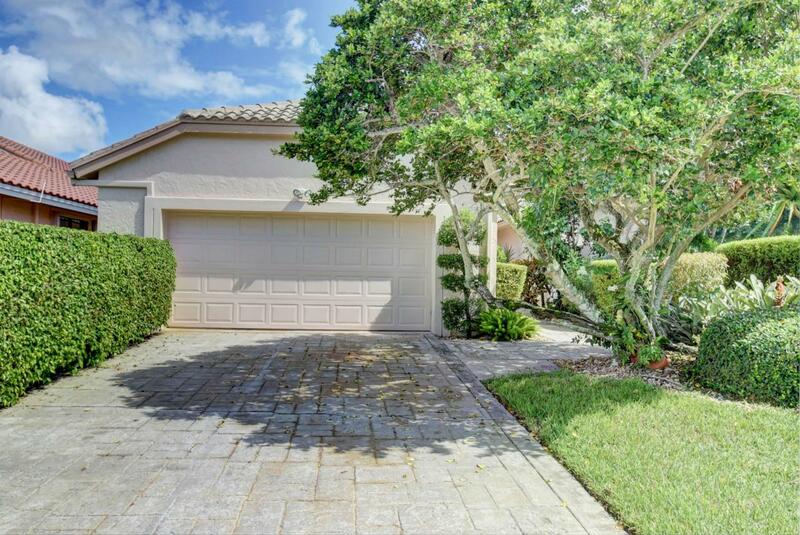 Single family detached 3 BR plus a den, 2 BTH pool home with expansive views surrounding the home. Features include- Saturnia flooring throughout living areas, redone kitchen with granite counters and SS appliances, private den/tv room (perfect office) in addition to 3 bedrooms, an open floor plan and a wonderful large backyard, pool and pool deck. Mandatory Membership $70,000. Phantom screens in the overhang area make a wonderful outdoor Florida room. Garage has room for 2 cars plus a golf cart! From every slider or window you see no houses- only greenery and golf course. A really great home!! !